For those who have completed Arabic - Introductory 1 recently or have equivalent knowledge. 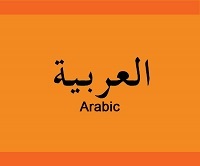 The focus of this course is spoken Arabic as used in the Gulf which is very close to Modern Standard Arabic. You will gain confidence for communication and a very basic understanding of the writing system. The balance of spoken Arabic to script is 80-90% spoken, 20-10% script. Note: Courses need a minimum number to go ahead so if we don't have enough enrolments a few days before the start date, we have to cancel. We'll let you know by email so please check yours regularly. If you need to cancel, here are our terms and conditions: "What You Need to Know".